Wrinkles are a natural part of every woman’s life, and yet they continue to be one of our most common complaints and daily sources of stress. Spotting those first few lines around the eyes can be incredibly daunting, leading women to consider expensive options such as Botox or surgery-still, many are not prepared to take these extreme and highly intrusive measures. Luckily, we have some tips for those of you who would rather avoid going under the knife and prefer to fight this battle naturally. Remember, wrinkles are a natural part of the aging process, but there are some measures that can be taken to prevent and minimise their premature appearance. At this point, you will probably already be familiar with the many benefits of Vitamin C, but have you ever considered putting it on your face? Using rose water, for example, as well as other mixtures from foods high in Vitamin C (such as lemon, orange and tomato juice, as well as pineapple flesh or papaya) as face masks can encourage your skin to produce more collagen, which in turn smooths out those wrinkles. Yes, facial fitness is a thing! It’s new, it’s hip and you can access full face workouts to help tone those facial muscles and tighten your skin. Best thing about them? You can easily do these exercises anywhere: in front of the TV, whilst doing your chores and even at the workplace (just make sure that your co-workers don’t notice your newly found habit of making funny facial expressions). Limit the time you spend outside in the sun and whenever you do, make sure that you always wear sunscreen. 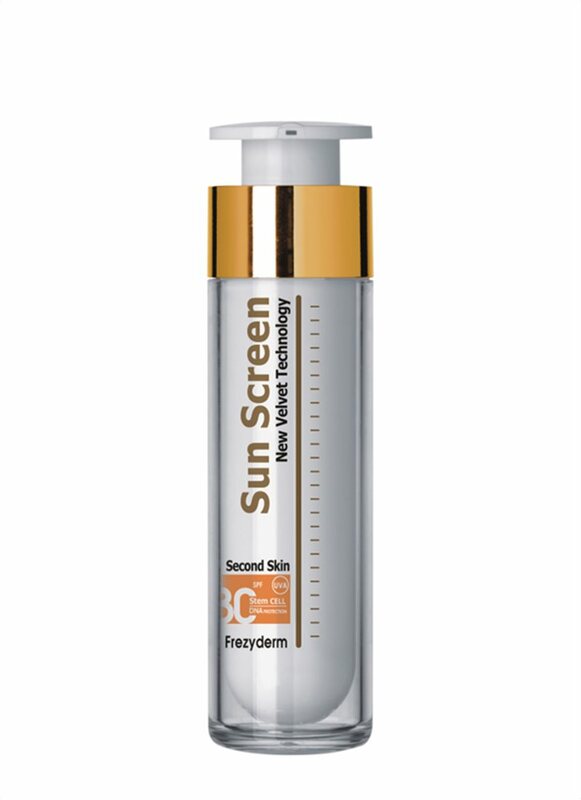 Frezyderm has a range of sunscreens that are easy to use and protect you from those harmful UV rays. Using the right kind of sunscreen for your skin type is essential; if you are unsure about which products to use, take a look at our quick guide. Of course, tanning beds are also a big no-no, and should be avoided at all costs. Getting between 7-9 hours of sleep per night will also help prevent wrinkles and give your skin a fresher look overall. If you are in the habit of tossing and turning during the night, sleeping on your side and stomach can exacerbate the appearance of wrinkles; invest in an anti-wrinkle pillow, or at least ditch those harsh pillows and replace them with softer ones: your skin will thank you in the morning. A dehydrated skin is more likely to age prematurely, so drink up that water! You should ideally aim for 8-10 glasses of water per day. Eating foods rich in water also helps towards your daily goal of liquid intake, so don’t forget those fruits and vegetables and include them in your daily diet. 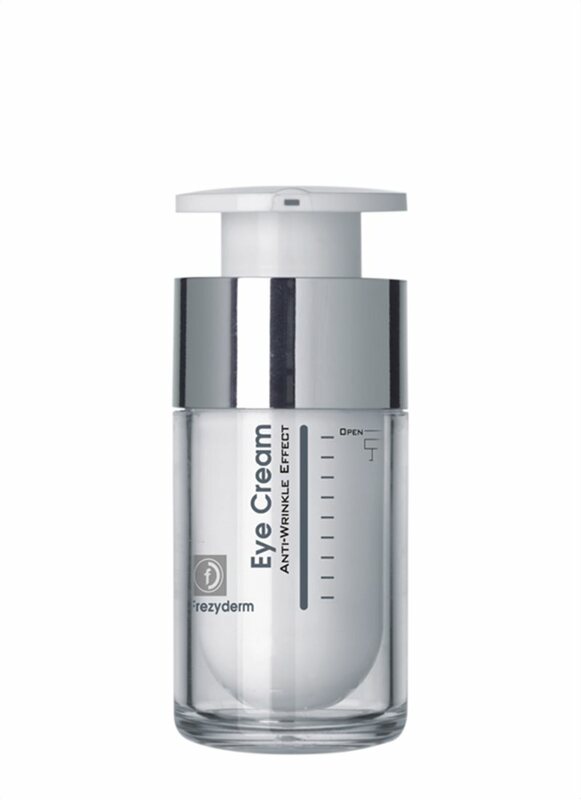 Investing in a good eye cream is essential in the fight against wrinkles. Frezyderm’s Eye Balm is easy to use and in addition to restoring the elasticity of the skin, it also gives your skin a refreshed look. Applying it before going to bed will not only help you feel better about your skin, but it will also make sure that you don’t wake up with dark circles around your eyes. Similarly, the Anti-Wrinkle Eye Cream will help minimise wrinkling and sagging around the eyes, regenerating your skin at the same time. Using it every morning and evening will help both in the short and long-term, and its effects are sure to be seen in the fresh appearance of your skin. Doing the above will help you minimise wrinkles and prevent their formation, but remember that no matter what, they are natural parts of every woman’s life, and therefore you shouldn’t despair at their sight. Having a healthy and balanced lifestyle is the best way to prevent wrinkles, so don’t forget to be positive above all!